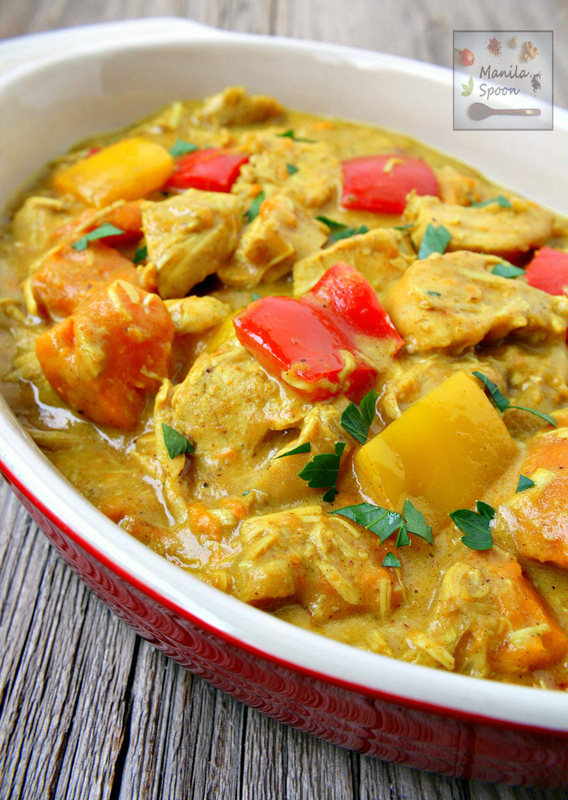 Gluten-free, paleo-friendly, healthy and delicious is this Filipino-style coconut chicken curry flavored with fresh ginger and other spices. We added some sweet potatoes and bell peppers for extra nutrition and yum! The other night we had dinner over at our friend’s house. A missionary visiting from France who spoke at our church last Sunday stayed with them. For his last night we decided to have dinner together, sort of a pot luck. I didn’t have time to prepare a main dish as we toured him around the area during the day (though I made some French clafoutis for dessert in his honor). Hubby and I just decided to get a couple of rotisserie chicken as our contribution. We had a lot of food! One of the roasted chickens was not even touched so we had to bring it home. As I was wondering on what to use the chicken for, I remembered that I haven’t yet made any Filipino curry version for the blog. While we normally use uncooked chicken when we make curry in the Philippines, I thought using the already roasted one would make cooking easier and shorter, too. Besides, you can always use another idea on how to use left-over chicken, right? This is one such recipe! Heat the oil in a large, heavy cooking pot with a lid. Saute the garlic, onion and fresh ginger until aromatic about 1-2 minutes. Adjust the heat to the lowest setting and add the curry powder and ground turmeric to the onion mixture and stir. Add the sweet potatoes and chicken. Pour the coconut milk plus 1/2 a can of water, fish sauce and some freshly ground pepper, to taste. Bring to a boil, cover and then simmer on low for 8-10 minutes or until the sweet potatoes are tender. Add the chopped bell peppers and the brown sugar or honey to balance out the flavor (not to make it sweet). Cook for another 2 minutes or until the peppers are heated through. If the sauce becomes too thick, simply add some more water. Adjust the seasoning if desired. Garnish with some chopped cilantro. Enjoy! Thanks, Diane and hope you enjoy this! A good curry recipe is always hard to find. You do such a wonderful job with this recipe. I love your use of coconut in this recipe. The Filipino twist makes this very unique. Thanks, Rini! I love cooking with coconut – makes everything delish! I love a good curry but I never think to make it at home, I always order it at restaurants. Can't wait to try this, pinned for later! 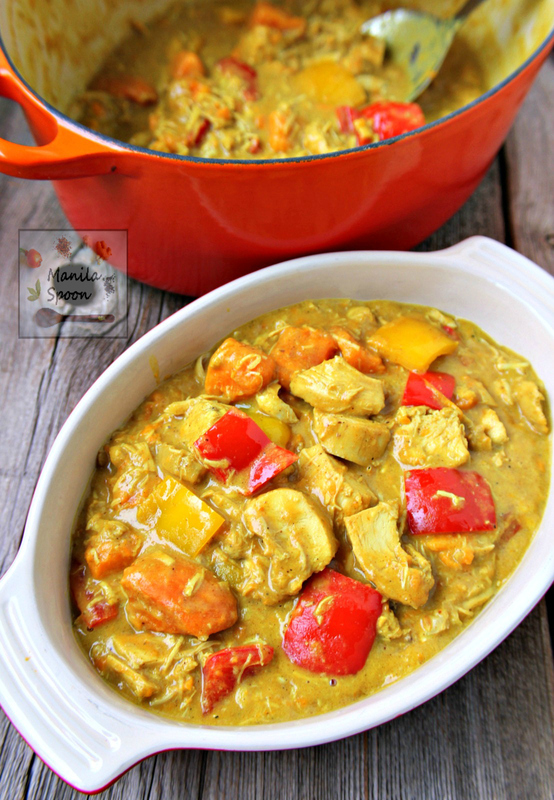 We are huge curry fans in our house, too Sara and hope you get to try this! What a gorgeous dish, Abigail! This Filipino version sounds heavenly to me! I love ginger. My husband is a little ginger averse but I'm slowly winning him over. Perhaps this will help his conversion! 🙂 Thanks, Alisa! Please enjoy and thanks, KC! I'm so glad I came across your blog this morning! My husband and I are in the process of adopting from the Philippines and I really want to learn to cook traditional Filipino food. I can't wait to dive into some of your recipes! Hi Jessica! I hope all goes well with the adoption and thank you for doing that. There are many needy children in the Philippines for sure. Hope you enjoy our dishes! 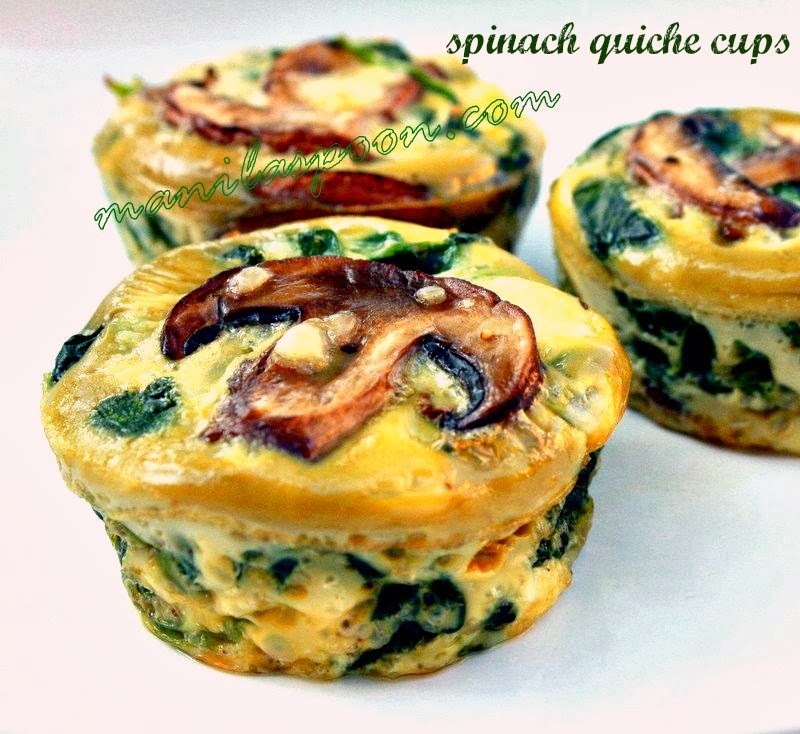 This looks absolutely wonderful, a must try recipe!! Mmm, I love this variation because I love ginger! Looks hearty and delicious! Ginger is one of my favorite spices, too Katerina! Thanks for stopping by! I am a huge curry lover and I'll be adding this to my recipe list. Looks delicious. Thanks, Janette and hope you enjoy it! Thanks, Elena! Glad to know you enjoy Filipino cuisine! This is a delicious dish full of wonderful flavors. Beautiful colors and perfect balance of flavors in this dish! It looks perfect! Oh man I wish I had a huge bowl of this in front of me right now! It looks perfect! Thanks, Lauren! Hope you get to try it! Thanks, Susan – that sauce is perfect to drizzle over rice! Awww, thanks Beverley! Hope you get to enjoy this! Honey this recipe is DE-LIC-IOUS, even my toddler finished his plate. I served it with basmati rice. Wouldn't change a thing. I am so glad to know you and your toddler enjoyed it Genevieve! Thank you for letting us know. Appreciate it much. Thanks! I am pregnant and can barely stand to eat anything besides cookies, but this is amazing—I make it every week. I double the veggies and add eggplant since it's pretty much to only way I'll eat them right now. My toddler loves it too! I am so happy you enjoyed this! Thanks for trying and letting us know! Abby, I told my 14 year old son tonight what I was making (on his way to hockey practice) and he said “No! Can’t we just order take out?” When he and my husband got home they not only raved about it as they ate it, but both had seconds (and we’re ‘mmmmm’ after each bite). And I also caught my son licking the bowl which he never does. Thanks for an awesome recipe! I am so delighted to know that you all enjoyed this! Thank you very much for trying and for letting me know! I love this recipe! I made it for my Filipino mother when she visited and she loved it! Thank you! I’m so delighted to know this!! Thank you very much!! Can you use yellow curry powder?